If you’ve been anxiously awaiting the arrival of the U.K. ‘s newest sports car, the TVR Griffith, we have some bad news. There’s been another delay. Originally set to go on sale in 2017, the delivery date was pushed back to early 2019. And now it’s been pushed back to 2020. Even though it’s an obscure, low-volume product that’s unlikely to ever be sold in the U.S., the Griffith is a car we can’t help cheering for. 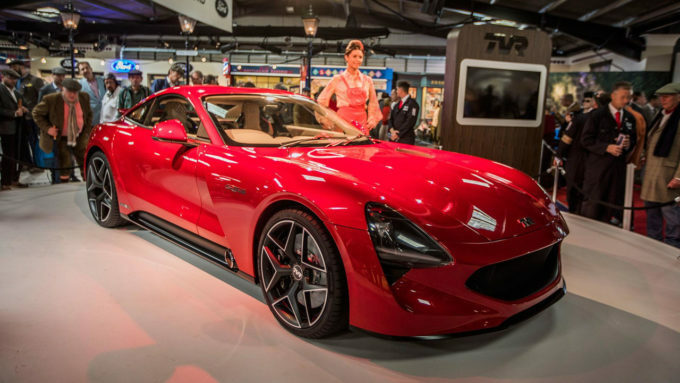 TVR claims it weighs only 2,756 pounds and uses a 5.0-liter Cosworth-tuned V-8 that makes 500 hp. With a six-speed manual transmission, it’s said to hit 60 mph in less than four seconds and top out north of 200 mph. And as you can see in the video below, the Griffith uses Gordon Murray’s innovative iStream carbon-fiber production process.